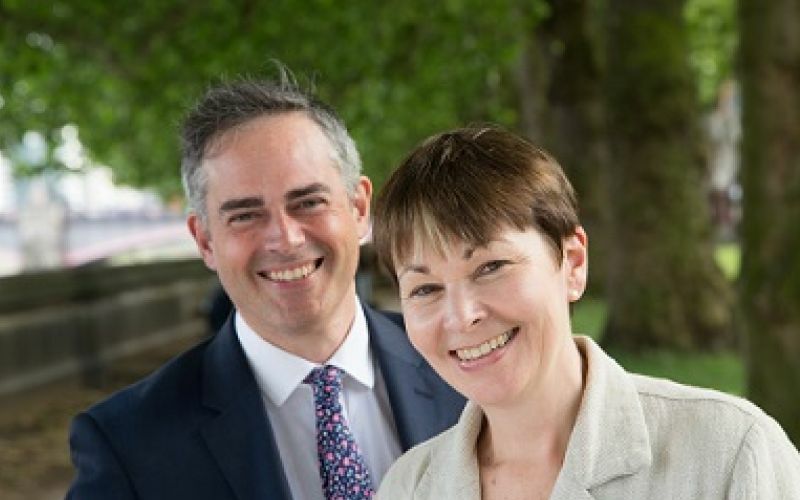 The Green party has called in its general election manifesto for moves towards an inclusive education system, as well as pledging universal free social care, significantly more accessible homes and a fully accessible transport system. The manifesto proposes moves towards a universal basic income, a benefit system in which everyone in the country – no matter how wealthy – would receive a regular cash payment, without conditions and without means-testing. The party also calls for action on accessible housing, saying that it wants to “significantly improve housing choice” for disabled and older people. And the manifesto says that all public transport should be “fully accessible and step-free”, while it would phase in free local public transport for young people, students, and disabled and older people. But a party spokesman backed away from the idea of a completely step-free transport system and instead suggested that its “fully accessible” transport policy meant that “necessary arrangements” would be made to meet the “reasonable transportation needs of disabled people beyond that which can be provided through general services”. The manifesto also calls for investment in “safe, convenient networks of routes for walking and cycling”, which would be accessible to disabled people, including those using mobility scooters. On social care, a spokesman said the party believed that an “integrated health and social care service is vital” and that there should be an end to “the false distinction between nursing and personal care”. He said the party would invest at least £7.5 billion a year to deliver universal free social care, which could be funded by “a combination of changes to pension tax relief to generate just over £7 billion a year and reforms to inheritance tax, generating £1 billion a year”. The Green manifesto says the party would ask all councils to plan “appropriately” for the housing needs of disabled and older people and “significantly increase the numbers of homes built to lifetime home and mobility standards over the next five years”. And it says it wants every child who is disabled or has special educational needs to have access to a mainstream education, “in accordance with” the UN Convention on the Rights of Persons with Disabilities, which in article 24 demands “an inclusive education system at all levels”. Last August, the UN committee on the rights of person with disabilities issued new guidance that made it clear that all segregated education should end and be replaced by “inclusive classroom teaching in accessible learning environments with appropriate supports”. But the Green party appears to be stopping short of the UN guidance, telling Disability News Service that it “supports the principle of offering all people the opportunity to be educated in a mainstream school, and meeting everyone’s needs, whatever the level of need may be”. It argues that in “exceptional cases it is not appropriate to be fully integrated into mainstream education for all subjects, for example where there are multiple learning difficulties”, while children with behavioural and emotional difficulties “need to be protected by temporary separation”. On social security, as well as a pledge to abolish the bedroom tax, the party promises a system that would “redress benefits injustice” and give “everyone confidence they will get support when they need it, including disabled people”. Further details are expected next week when the party publishes a mini-manifesto on disability. There is also a manifesto promise on diversity in representative politics, including a pledge to introduce job-sharing for elected office, which should benefit disabled people who want to become MPs but cannot work full-time. The party takes a strong anti-Brexit position, promising to campaign for a vote on the final terms of the Brexit deal negotiated by the government, including an option to reverse the result of the referendum and stay in the European Union. It also promises to take action to tackle disability discrimination – extending current legislation – defend the Human Rights Act and UK membership of the European Convention on Human Rights, and reinstate some of the funding cuts made by the last two governments to the budget of the Equality and Human Rights Commission. In the manifesto’s 26 pages, there are seven mentions of the words “disabled”, “disability” or “disabilities”.